289-ind | 289-ind | 289-ind | 289-ind | 289-ind : Pedang Petir Ameyuri Ringo ! 288 | 288 | 288-ind | 288-ind | 288-ind | 288-ind : Danger: Jinpachi and Kushimaru! 285 | 285 | 285-ind | 285-ind | 285-ind : User of the Scorch Style: Pakura of the Sand! 284 | 284-ind | 284-ind | 284-ind : The Helmet Splitter: Jinin Akebino! 283 | 283 | 283-ind | 283-ind | 283-ind | 283-ind | 238-ind : Two Suns! 282 | 282-ind | 282-ind | 282-ind | The Secret Origin of the Ultimate Tag Team! 281 | 281 | 281 | sub :The Allied Mom Force!! 274 | 274 | 274 | 274 |: The Complete Ino-Shika-Cho Formation! 268 | 268 | 268 | 268 | 268 | MF | sub : Everyone’s Fierce Battle!! 256 | 256 | 256 | 256 | 256 : Amass! Shinobi Allied Forces! 250 | 250 | 250 |sub : Battle in Paradise! The Odd Beast vs. The Monster! 249 | 249 | 249 |sub : Thanks You! 248 | 248 | : The Fourth Hokage’s Death Match! 245 | 245 | 245 : Naruto vs. The Nine-Tails!! 243 | 243 : Landing! Paradise Island? 233 | 233 |sub : Enter Imposter Naruto? 229 | 229 | 229 |sub : Eat or Die! Mushrooms from Hell! 135 | 135 | : The Longest Moment! Sasuke vs. Itachi!!! 123 or 123 |: Clash! 102 or 102 or 102 : Regroup! 088 : Wind Style: Spiraling Shuriken! 040-041 or 040 or 041 : Kyubi Unleashed!! 029-030 or 029 or 030 : Kakashi enlightened! 017 or 017 : Gaara Dies! 015 or 015 or 015 : Hidden Sphere – It is Named…! 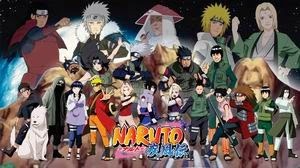 Episode 005 | 05 | 05 | sub : As the Kazekage…!